The majority of the postural yoga we practice in the West today can be traced back to one man. Tirumalai Krishnamacharya was born in 1888 to an orthodox Brahmin family in Karnataka, South India. He became an outstanding scholar of Sanskrit, Ayurveda and philosophy, and devoted his life to reviving and teaching the art of hatha yoga. Among his many thousands of students, Krishnamacharya had three outstanding pupils who, between them, shaped the spread of yoga outside India. The first, Pattabhi Jois, went on to found Ashtanga Vinyasa yoga, while the second was Krishnamacharya’s brother-in-law BKS Iyengar, of Iyengar yoga fame. The third was his own son, TKV Desikachar – the guru who refused to become a brand. Desikachar lived and studied with his father for almost 30 years, absorbing more of his wide range of teachings than any of his other protégés. According to Desikachar, Krishnamacharya taught him that there is no one true way of yoga; that the teacher must adapt the practice to give each student what he or she needs, be it posture work, pranayama, dietary advice or a Sanskrit prayer. This truly holistic approach to yoga gained a dedicated following, and Desikachar’s disciples in the West (prominent among them Gary Kraftsow and Mark Whitwell) called the style Viniyoga, meaning something like “useful yoga” or “applied yoga”. But it’s hard to trademark a style of yoga mainly characterized by its gentle, unassuming willingness to meet the student where he or she is, and its use of a shifting spectrum of different techniques. It’s harder still to trademark a style of yoga whose guru refuses to be called a guru, and asks his followers to please stop calling it “Viniyoga,” because it’s all just yoga. But this is exactly what Desikachar did in the early 2000s. By all accounts a deeply humble and modest man, TKV Desikachar continued to teach, research and promote the use of yoga as individual therapy at his centre in Chennai until his retirement from public commitments in 2010. Meanwhile, the viniyoga approach is still growing worldwide, for the most part quietly and in keeping with Desikachar’s ‘no brand’ ethos – although the American Viniyoga™ Institute did manage to trademark the word, which seems a little unsporting. And scandal came calling in 2012, when Desikachar’s son Kausthub, then head of the International Krishnamacharya Healing & Yoga Foundation (KHYF), was accused of sexual misconduct by several female pupils. It’s a depressingly familiar tale (see Bikram Choudhury, John Friend and many others) but in this case it makes Desikachar’s refusal to give the movement a figurehead look prescient: if there is no guru, then the whole edifice can’t be brought down by one man’s misconduct. However, Desikachar’s talent for self-effacement does present us with some difficulties in attempting to discuss this style of yoga, or indeed in tracking down its proponents. For the purposes of this article, I’m going to group a number of different schools under the umbrella term ‘viniyoga style’. It’s a broad-brush approach that will no doubt upset purists of various persuasions, but if it helps you find the right yoga class, that’s ok with me. Group classes in the viniyoga style tend to emphasize the individual’s experience of his or her own practice, and the supremacy of the breath. You may well be exhorted to pay more attention to how the posture feels than to how it looks. Similarly, the quality of the breath takes precedence over the outward form or precision of the asana. This is a yoga of self-examination and contemplation rather than conventional, physical exertion. Teachers may include themes and ideas from yoga philosophy, and use Sanskrit mantras and other sounds to deepen the student’s experience. 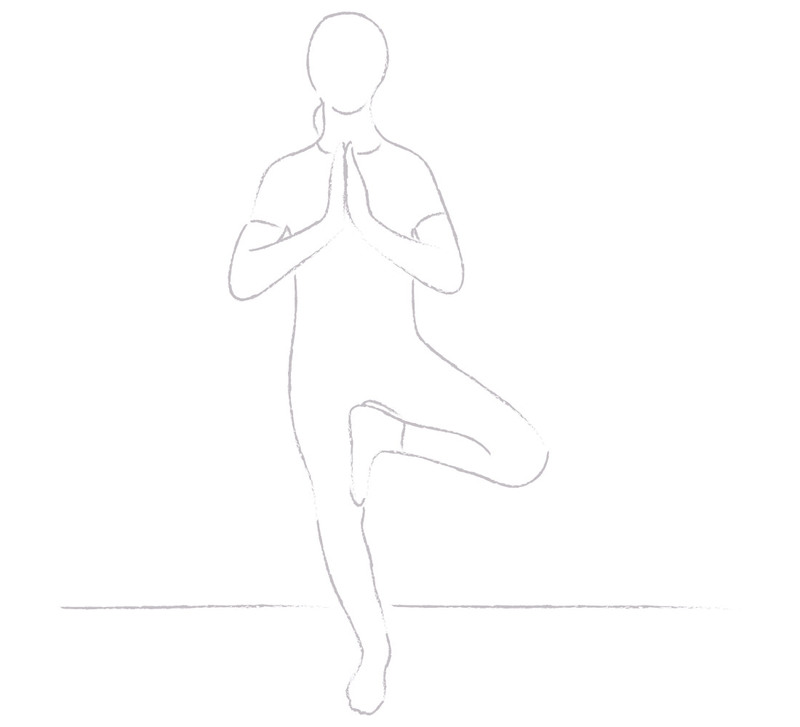 This style uses many classical yoga asanas, but often with a softer, more pliant approach: the long, still holds of Iyengar and the powerful transitions of Ashtanga are replaced with a yielding to the breath; an ebb and flow within the pose. It’s less of a workout, more of a moving meditation. Don’t assume, therefore, that practitioners of viniyoga-style yoga are not strong and flexible: they are. But they tend to measure their progress by the quality of breath and movement much more than by their ability to achieve ‘advanced’ inversions, arm balances or binds. TKV Desikachar advocated the teaching of yoga one-to-one, or in small groups where the teacher can give personalised adjustments and recommendations to each student. This approach is not always practical in the prevailing UK yoga culture, but teachers in this tradition tend to prefer smaller class sizes and most offer one-to-one teaching too. There is an important distinction between these therapeutic forms of yoga and formal ‘yoga therapy’. Yoga therapists have generally received special training over and above a normal teaching qualification, and tend to work exclusively one-to-one, offering specific yoga tuition as treatment for conditions ranging from back pain to depression, carpal tunnel syndrome, IBS or recuperation after injury. A yoga therapy session should not be limited to one-way instructions; rather, it develops in dialogue with the therapist, from whom you can expect constant, hands-on attention. You should be prepared to give a thorough history of your symptoms and you will usually leave with a suggested ‘self-practice’ programme to continue at home. As befits a non-brand, non-school of yoga, this is a broad church. Those of a contemplative turn of mind love its introspective, meditative qualities. Older beginners, the injured and others who may lack confidence in their physical fitness usually find the atmosphere of a viniyoga-style class unthreatening and supportive. Many come to a viniyoga-style practice while recovering from injury – perhaps one sustained in the pursuit of a more uncompromising style of yoga. I’m one of them. By the time I discovered viniyoga, years of niggling shoulder, wrist and lower back pain from my ashtanga practice had left me crying out for an approach that would help me to work with my body, rather than trying to transcend its limitations by force of will. Yoga therapy – focused, one-to-one work with a qualified practitioner – is expensive compared to attending group classes, but a great way to address your exact needs, every time. If you have a physical limitation that makes group classes frustrating or even risky – for example, a knee injury that makes kneeling postures painful, or an issue that affects your balance – then a few sessions of yoga therapy can help immensely. You’ll get a chance to address your problem head-on, and also learn how to modify postures so that you can practice safely in a group class in future. For some people, savasana (‘corpse pose’, commonly practiced as a relaxation at the end of a yoga class) is the highlight of their week. For others, it’s torture. If you can’t abide lying still, alone with your thoughts, then you will find the slow, contemplative pace of a viniyoga-style class a real challenge. That’s not to say you shouldn’t try it – in fact, you probably have more to gain than many. But students whose yoga experience mainly runs to physical, gym-based classes are often nonplussed by more therapeutic styles. “Is this it?” they ask themselves. “It doesn’t seem that hard…” There’s a style of yoga for everyone, and for each phase of life. If you’re currently in a dynamic phase with no time to slow down, then this style of yoga can wait. It will still be there when you need it. The viniyoga approach is utilitarian at heart. It’s yoga for real life: a way to enhance well-being at any age and whatever the starting point. It will bring about slow, subtle and hopefully long-lasting changes, chief among them a greater sense of physical and emotional balance. There’s a dearth of robust clinical trials of yoga as therapy, but plenty of anecdotal evidence for its success. The most reliable results seem to be in treating chronic low back pain, and mental/emotional disorders including anxiety, depression and insomnia.